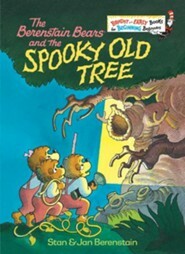 In this perfect-for-small-hands, sturdy board book version of a deliciously shivery, easy-to-read Berenstain Bears Bright and Early Book, three brave little bears explore the inside of a mysterious old tree and go into, up, through, over, down, and out. Simple rhyming text teaches the concept of directions as beginning readers enjoy a story and illustrations filled with thrills and chills of the gentlest kind. 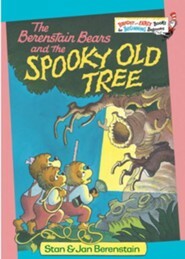 Over the course of fifty years, Stan and Jan Berenstain wrote and illustrated hundreds of books about the Berenstain Bears in dozens of formats, from board books to beginning readers. Some of the most enduring are the stories in the groundbreaking Bright and Early Books and Beginner Books series. 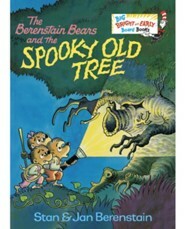 I'm the author/artist and I want to review The Berenstain Bears and the Spooky Old Tree.